When you think Rome, you think mystical, ancient ruins and beautiful, historical monuments. However, Romes history doesn’t end at it’s monuments but there’s many restaurants that are steeped in history as well. In fact, some restaurants in Rome are more than a century old! Let’s have a look at 5 of the Oldest Restaurants in Rome that not only have hundreds of years worth of tradition, but also offer some of the city’s tastiest dishes! In 1870, Anna De Angelis left her hometown of Amatrice and arrived in Rome. 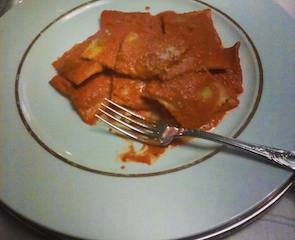 Once in Rome, with very modest means ather disposal, she began to prepare Bucatini Amatriciana. This is a famous recipe she brought with her from home, for passing greengrocers. Years passed, and the reputation of the delicious Amatriciana began to spread all over. It was passed to all the local greengrocers going to market and to the general Roman population. Her operation soon expanded and she opened a restaurant in conjunction with the construction of the old Teatro Costanzi (1880). This later became the Teatro dell’Opera in 1929. The Bucatini Amatriciana dish continued to gain popularity and the dish was renamed “5 p,” which stands for pasta, pancetta (bacon), pomodoro (tomato), pecorino romano (cheese), and peperoncino (chili pepper). These are the fundamental ingredients of the restaurant’s signature pasta dish.The restaurant is owned by the Crisciotti family and currently being managed by brothers Fabio and Mauro and their father, Fortunato. Even today, the restaurant maintains its original structure from the ’30s and is part of the Local Historians of Italy Association. 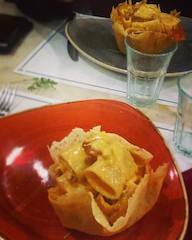 The menu is comprised of typical Roman cuisine, but also contains dishes change based on seasonal availability of ingredients. The wine list is also hand-selected by the two young restaurateurs, both Sommelier graduates from A.I.S. di Roma. The menu has many delicious items to choose from, but it goes without saying that their crowning glory is of course the Bucatini alla Matriciana. In 1890, Giuseppe Tozzi, or as he was known, “Peppone,” came to Rome from a small town in the region of Abruzzo called Montereale with big plans to open a tavern in what was then, the future site of Via Veneto. With hard work and determination, Peppone grew his operation into a very successful business, which today is a restaurant that is still successful and currently being run by his great-grandchildren, who are the fourth generation of this family to manage the restaurant. Peppone prides itself on honoring its Lazio and Abbruzzo roots by offering strictly traditional dishes from both regions. However, in addition to their traditional dishes, Peppone’s menu boasts reinterpretations of classic dishes based on seasonal availability of ingredients. Every ingredient is selected with great care to guarantee quality and freshness without compromise. Though the menu has many tasty, traditional dishes to choose from, customer favorites seem to be the pasta dishes, specifically the carbonara and cacio e pepe. Ristorante Piperno, which was founded by the Piperno family in 1860, is not only one of the oldest restaurants in Rome, it’s also the oldest restaurant in Rome’s Jewish Ghetto. Since 1963, the Boni and Mazzarella families have been running the restaurant where, in addition to the typical Roman cuisine, their famous “carciofi alla giudia” or artichokes Jewish style have gained widespread recognition. Piperno was the location of the famous Carciofolata that took place from 1909 to 1962. Started by the painter, Romeo Marchetti, director and owner of the famous Roman illustrated periodical, “Il Pupazzetto,” the annual spring Carciofolata was a recurring annual banquet attended by all the literary, artistic, industrial and political Romans, whom, for this carefree festival, put their rivalries and opposing thoughts aside to toast the resurgent spring and the joy of living. 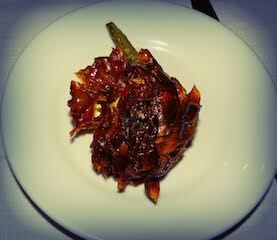 Today, not only can you still sample the delicious “carciofi alla giudia,” but many other delicious dishes as well. 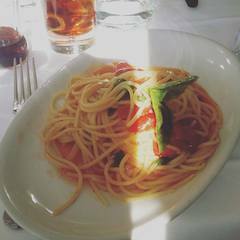 The fresh pasta dishes here are known as a definite customer favorite. Over a hundred years ago, a young married couple, Lorenzo and Clorinda, who ran a wine cellar in the Testaccio neighborhood (before the construction of the slaughterhouses came about), decided to transform their operation into an osteria. In 1890, the new slaughterhouse was completely finished being built. This was when workers got into the habit of bringing animal parts they received as partial payment to the osteria. Meanwhile, the couple’s daughter named Ferminia carried on the work of her parents, cooking the dishes that were so successful. Ferminia had a son, Francesco, who everyone called Checchino. It was he who, in 1927, restored the location and managed to bring in an impressive clientele of politicians, nobles, and professionals. He decided to give the newly restored restaurant his name and include in the name of the locale, the year the official license was received. Today, the restaurant is managed by Checchino’s great-grandchildren, Francesco Mariani and his siblings. They are the fifth generation of the family to run things and keep the tradition going. The menu is ample with lots of yummy food and wine to choose from, but Checchino is most well-known for their quinto quarto meat dishes and their spaghetti alla carbonara. Located in one of the oldest districts of the Eternal City, the history of this restaurant dates back to the beginning of the 1900s. It began as a small inn that represented a landmark for the inhabitants of the whole area. It also served as a resting place for the many passerby. Over the years, the management changed several times, retaining its characteristics while adapting to the context it found itself in. During the ’40s and ’50s, there was a boom in local growth and two employees took over managing the restaurant. The new owners began to offer a more comprehensive service and a more varied and refined menu. The resulting increase in prices caused the people of the neighborhood to jokingly begin calling them “i due ladroni” or “the two thieves,” which is where the restaurant gets its name from. In the late ’80s, the business was taken over by its current owner. Since then, it has undergone many improvements and received a significant expansion. Likewise, a more complete wine list and selection of dishes has been added. 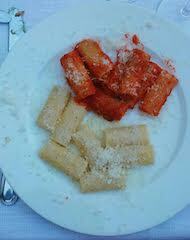 Among its most well-known dishes are Spaghetti alle Vongole, Riso al Salto, and Spaghetti ai Moscardini. Since Rome’s such an ancient city, there are many more restaurants that could be considered among the oldest in Rome. However, these 5 stand out as they are both the most historical and the most delicious on the list. Next time you’re in Rome, stop by any of these gems so you can eat their delectable cuisine. Also be sure to drink in the history that each one of these restaurants brings to the table. 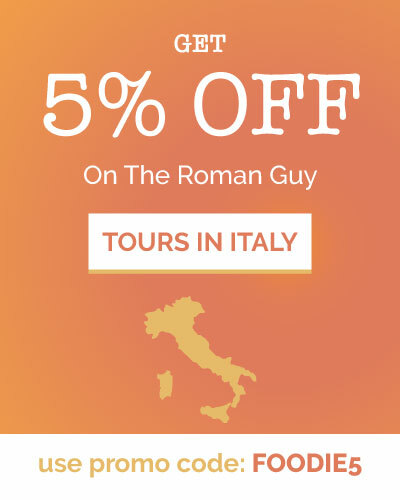 If you enjoyed this post, please share on social media channels and include our handle for Facebook, Instagram, or Twitter – we’d love to share Rome foodie info with more people! 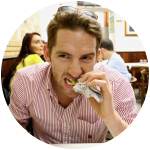 Or, if you’re coming to Rome and want to enjoy some of it’s delicious cuisine, join our Rome Local Food Tour!